Temperatures dipped into the low fifties here in Virginia over the past two days, and I took that as a sure sign that Fall has arrived. Like any Pinterest addict enthusiast, I spent some time over the weekend browsing my Pin boards to find a fun new Fall recipe to try. 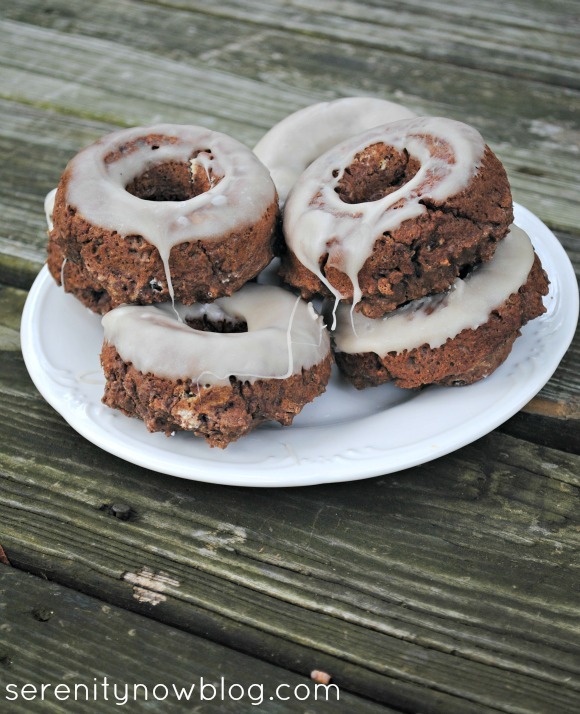 My kids were overjoyed that I picked one for Baked Chocolate Donuts with Maple Glaze. Get ready for some deliciousness! To quote my friend Crystal, this recipe is actually a "mash-up" of two recipes I Pinned to my Pin Boards, and I adapted them to suit my needs. I found a cute little donut pan at Target recently and just had to try it out! 1. Preheat oven to 425 degrees F and spray your donut pan with non-stick baking spray. 2. Add all your donut ingredients to a medium sized bowl and mix well. Mine had a pretty thick, sticky consistency. 3. Spoon batter into the pan. Bake for 6 to 8 minutes, or until a toothpick inserted near the center of the donut comes out clean. 4. Allow to cool for five minutes before dipping the top of each donut into the glaze. 5. To make the glaze, stir the powdered sugar and syrup vigorously until smooth. I microwaved it just enough to get it warm and liquidy. It hardened quickly! *Note: The donut recipe called for Bisquick mix, which I don't keep in the pantry. No worries...I found an awesome Homemade Bisquick Mix Recipe from Unsophisticook and doubled it. These were really, really yummy! I have several other recipes that I can't wait to try out, so stay tuned! Those look delish! Perfect breakfast for a cool fall morning! Donuts?!?! Ok, you officially "have it all"! When can I come over for a taste?! Haha! Seriously though, those look deeeelish! um...seriously! Yes please, I'll take one or two or three! ;) These looks so good. Pinning this one! My word, those look SO GOOD! I just love it when someone else does the mash-up and then writes about it--so I can just try the goodness of the already-mashed-up recipe! Would you mind telling me what brand syrup you used? So many recipes call for maple syrup, and I never know if that means the real stuff or the kind of pancake syrup I buy. Thanks! Hmmm, those look so good! My family would love it if I made them some. Oooh, Amanda, these look and sound SO good! I haven't seen those little pans. How handy! Ooh! 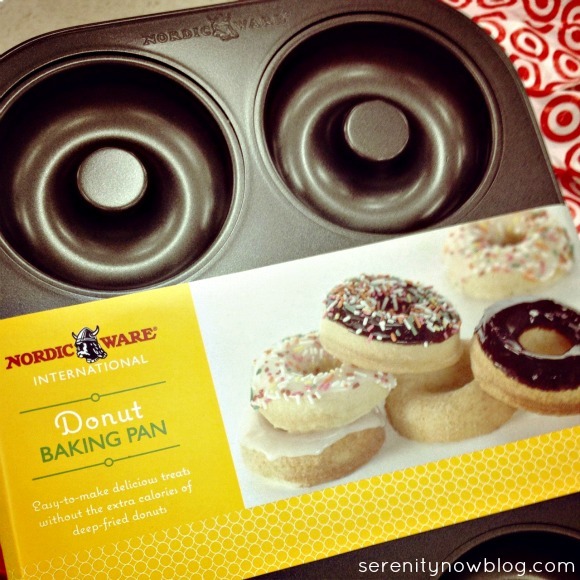 I definitely need a donut pan! Those sound AMAZING!!! oh my gosh, these look so yummy! Definitely putting this on the list of treats to make this fall! i need a donut pan! these sound really good, amanda. Wow--yummy! Can't wait to try these. Yummy! I wonder if I could try this recipe in muffin tins? Holy yummy. Now I need a donut. And maybe a latte to go with it? You can bring them to my house in the morning, I'll be up around 7:30. Yum! I love making homemade donuts!!! 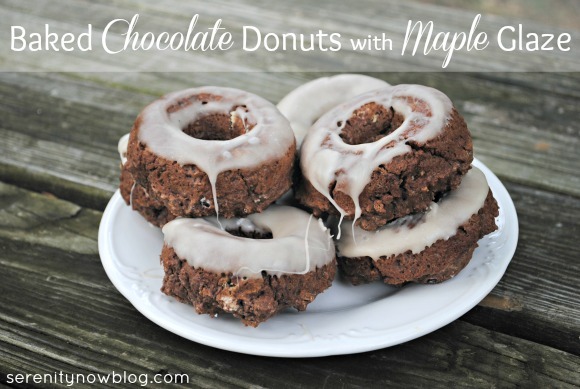 My kids will have a blast with this donut recipe!